Easy Tabbouleh (Tabouli) | The Sassy Spoon: Fun Food! This is such a nutritious and delicious thing to have on hand. It can be served with grilled pita bread, rustic breads, slices of radishes, carrots or cucumbers or eaten as a salad on its own. 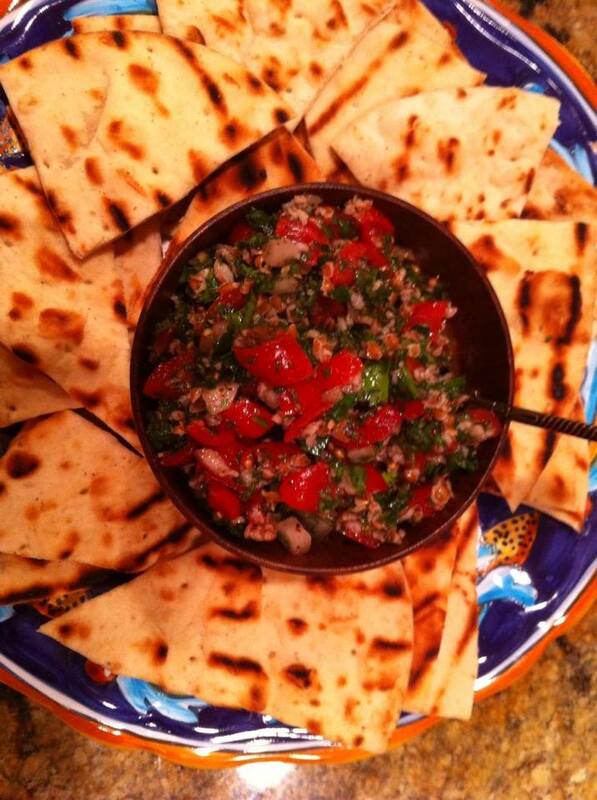 There are a lot of recipes out there, this one is based on a Palestinian version, basically a parsley salad. Chop and stir! This keeps for about a week in the refrigerator. I used fresh and dried parsley to get different levels of flavor. Add all ingredients in a large bowl and stir. Taste before adding salt and pepper. Serve with additional lemon quarters. I give you a lot credit for all your hard work that goes into your blog. Very nice job!. I’ve actually started sending guests to your site. It’s nice to send people to a website that offers some many different recipes where TSTE products are featured. Keep up the good work. Thank you Brian! It is a labor of love. Happy to share the good food! 🙂 I usually do recipe cards for most of the recipes too.